It's estimated that parents and teachers spend nearly two months at the start of the school year re-teaching previously learned material because so much learning gets lost in the three months of summer idleness. For the struggling learner or the special needs child, that number can double or even triple. So, as summer approached a few months ago, I began forming my plan of attack. I've never been a we're-going-to-finish-this-curriculum-before-the-next-school-year-starts-or-else kind of homeschooler. (On the contrary, I think that kind of strong arming is a sure fire way to ruin your child's love of learning.) But I knew that my son would need more than just short, daily bouts of reading in order to maintain momentum on his progress. My son loves books, but he struggles to read them well. He suffers from a mild neurological condition that makes learning to read more challenging than it ought to be. He's come a long way in the last few years but still requires oral reading and phonemic practice every single day. Therein was my dilemma at the start of summer. I thought to myself, How could I provide him daily phonics practice while not making him feel like he had to do schoolwork in the summer when none of his siblings were required to do any? The thing is, I didn't want him to grow to hate reading and I certainly didn't want him to feel like he was being punished by assigning him extra review. 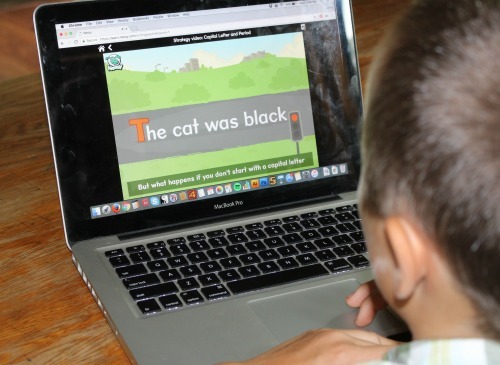 I decided that the best way to make summer phonics/reading practice feel less like a HAVE TO and more like a WANT TO was to sign him up for Nessy Learning, one of the only online reading and spelling programs that uses the Orton-Gillingham approach to teaching reading. Developed by Dr. Samuel Orton and educator/psychologist, Anna Gillingham, in the 1930s, the O-G method has been the gold standard for teaching reading to children with dyslexia and other learning struggles for decades. Nessy Learning has somehow found a way to bring those proven techniques to the digital age. Yeti Mountain is a 20 minute online assessment test created to give you, the parent, a better idea of your child's struggles and strengths. 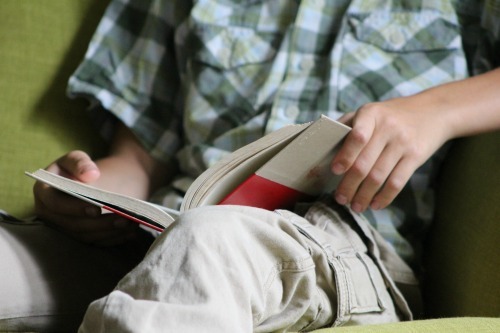 Since dyslexia can present itself in five different ways (visual processing dyslexia, auditory processing dyslexia, slow processing speed, working memory dyslexia, and phonological dyslexia), it can sometimes be difficult to know how best to help a struggling reader. While Yeti Mountain is not designed to diagnose dyslexia, it definitely shows if there are enough reading red flags to warrant further professional testing. Nessy Reading & Spelling is the foundational piece to the program and consists of over 100 different reading and spelling lessons. Each lesson begins with a 2 minute video-based teaching that emphasizes one particular reading or spelling element including phonemic awareness, special phonics sounds, blends, sight words, fluency, tricky homophones, vocabulary and comprehension. After watching the short and entertaining lesson, a child can then play a simple video game style activity to review that new skill. For instance, if the lesson focused on the "ou" sound, the game would provide review of o-u words. Most struggling readers are also struggling writers. Poor grammar and mechanics are often the byproducts of poor reading skills. 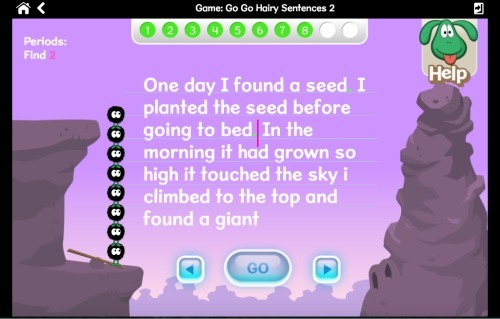 Writing beach is the perfect compliment to Nessy Reading & Spelling because it teaches the punctuation, capitalization, and basic grammar skills necessary for a child to write sentences well. This particular portion of the online program reminds me of a video game version of a grammar worksheet. While the emphasis of the entire Nessy Learning program is reading and spelling, it also provides some practical help for those who also struggle with basic math concepts, because the truth is, struggling learners often struggle in many areas. 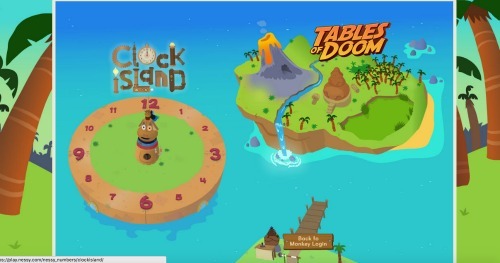 Nessy Numbers focuses on two elements of math that those with dyslexia often have trouble mastering, clock/calendar skills and multiplication fact memorization. A child can choose which area to focus on each day. Should he decide to practice his clock/calendar skills, he'll likely play a game that teaches time order vocabulary like "half past" and "tomorrow." 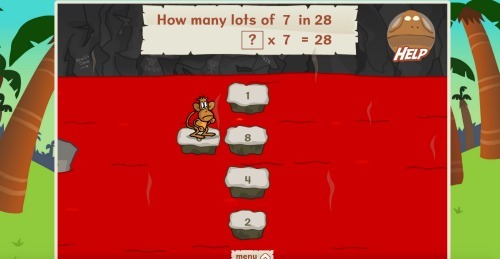 Should he choose to focus on multiplication, he will be directed to one of several different types of games that will provide him with lots of math fact practice. At any point in the program, should your child need more additional review or practice, you can print out a companion worksheet that highlights the exact skill that he or she still needs to master. 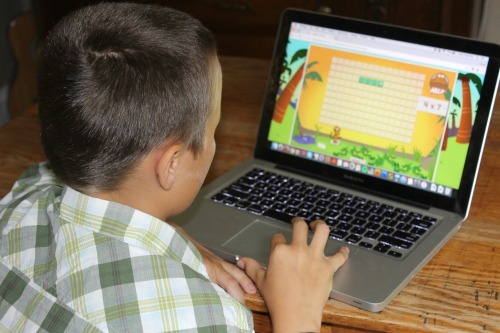 In the past few years, my son has used a few other online reading programs, but never one that actually provided an assessment test to show his reading struggles and strengths. I sat right next to him as he went through Yeti Mountain, the assessment test, and was so wide-eyed at how well it cornered his particular reading issues. So many reading programs are designed to appeal to 4-7 year olds, since those are the ages when most kids learn to read. But children with dyslexia usually need reading help and intervention well into high school. Both my son and I appreciated the fact that the graphics and general themes of the program were not babyish. The Loch Ness Monster and island-invading gorilla characters were definitely more appealing for him than the ducks and bunnies he's seen on other programs. What sets a TRUE online learning program apart from just your average "educational game" is that the focus is on the learning, not the game. I've watched him play free online review games and have been grossly underwhelmed. So many of them are so poorly orchestrated that a child can basically guess his/her way to a right answer and never learn a thing. Or worse yet, many are so flashy and fast-paced that they are too distracting to be useful. Nessy Learning, on the other hand, requires a child to put in the work. In addition, most of the main games allow you to set targets so that a child doesn't waste his time working on skills he has already mastered. It's a great combination of reading fundamentals and online fun. Most learning games are like the educational version of SnapChat. 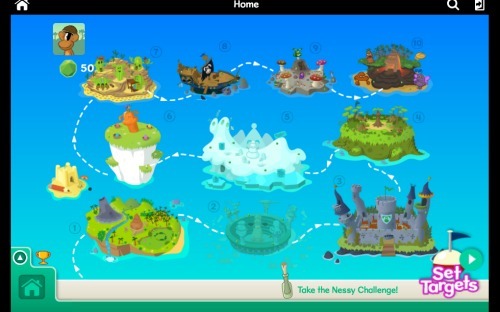 Kids show up, they play, and then their score disappears forever into cyber land never to be seen or heard from again. Parents never really know how well their child is doing unless they have the time to be a backseat game player. But because Nessy Learning Parent Pack is Parent friendly, the program offers a full Admin area that is password protected so that you can track your child's progress. This would have been super helpful had I ever remembered to actually track my son's progress. Mom fail. 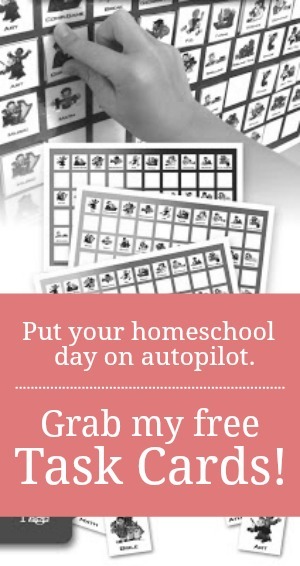 I picked the program months ago, added it to our Summer Gentle School plans, and hoped that it would prevent some of that nasty summer slide. And it did! My son was able to gently review his phonics skills all summer long. Nessy Learning along with regular oral reading practice kept his skills sharp. 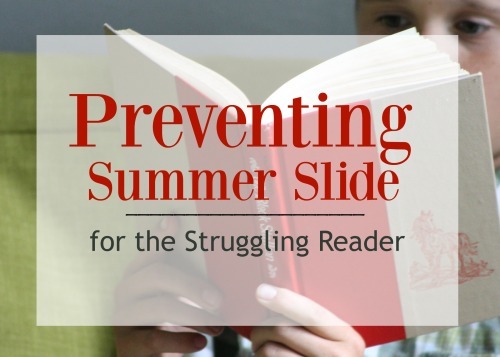 No summer slide! The program offers a full basket of goodies, so be ready to spend a little time exploring the site before you just pop right on expecting to play. There is a lot to navigate. Be prepared for a bit of a learning curve. I also think it is worth mentioning that due to the island theme of the program, there are a few tribal elements like talking idols and haunted huts that might not be appropriate for all families. If you are not sure if your child is a struggling reader or if you would like to know more about the signs of dyslexia, download a copy of Dyslexia Explained, a FREE quick-read eBook that unpacks the signs, symptoms, and types of dyslexia in language we can all understand. 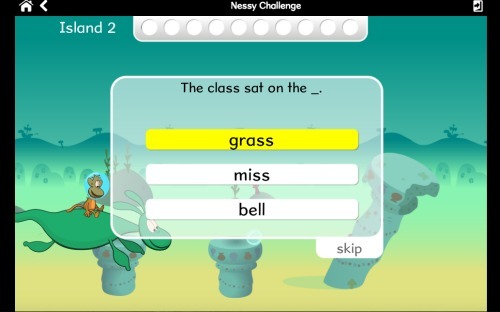 Want to know more about Nessy Learning? To learn more about Nessy Learning or to grab a year-long subscription, be sure to visit them on Facebook, Twitter, and Youtube.